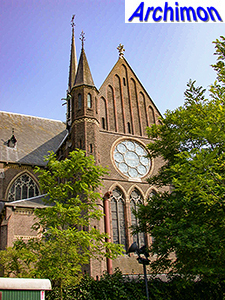 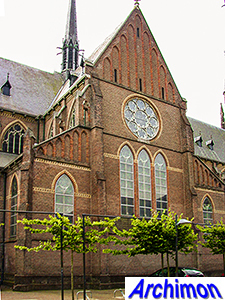 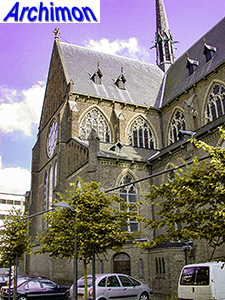 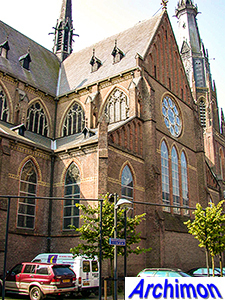 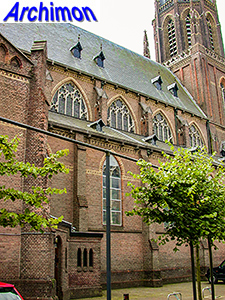 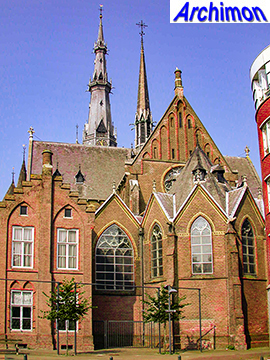 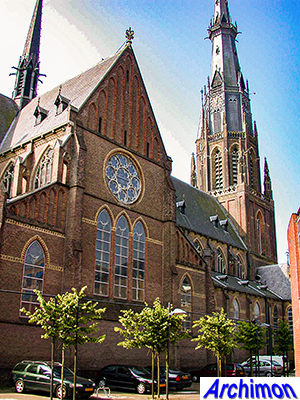 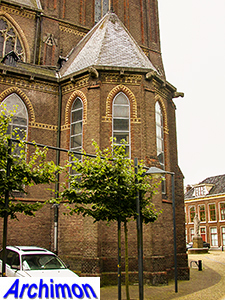 Although the Roman-Catholic community of Leeuwarden had built its first church in 1850 already, Th. 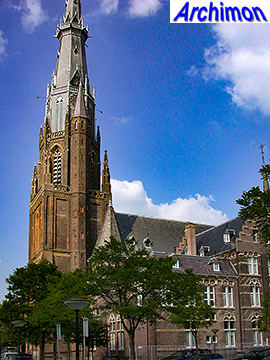 Molkenboer's St. Dominicus obviously wasn't big enough to accomodate them all three decades later. 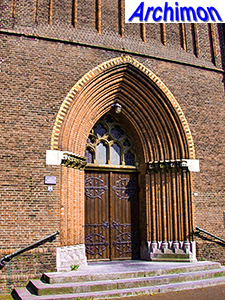 Therefore, P.J.H. 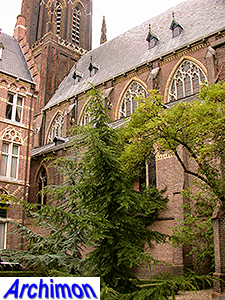 Cuypers was commissioned to design a second church. 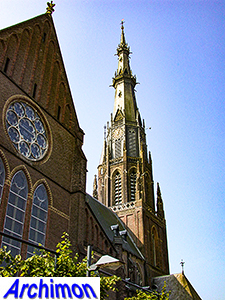 It is a big neo-Gothic cruciform basilica with a three-aisled nave and a three-aisled transept. 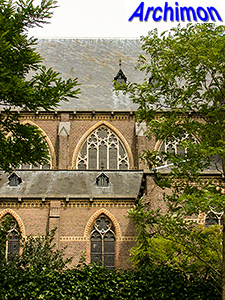 There's a remarkable difference in shape and size between the windows of the clerestorey and those of the side-aisles. 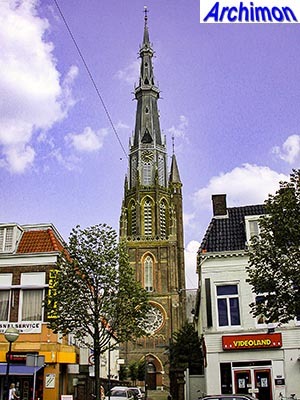 The tower consists of a square lower part, on which is an octagonal segment crowned by a tall wooden spire, the design of which was influenced by that of the St. Pancras in Enkhuizen and the New Tower in Leeuwarden itself (demolished 1886). 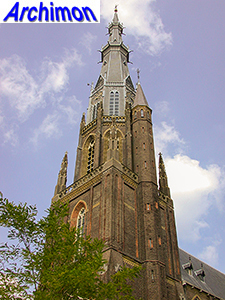 In 1976 the spire was blown off the tower by a hurricane. 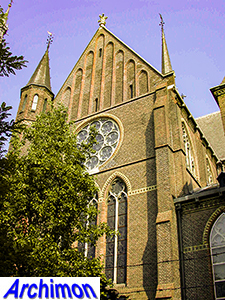 In 1979-1980 it was rebuilt following the original design. 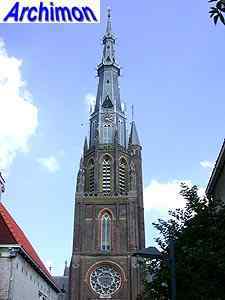 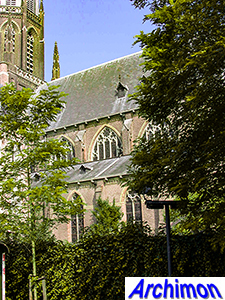 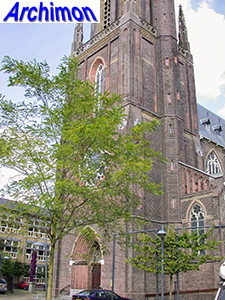 The tower itself owes much to the tower of the New Church in Delft. 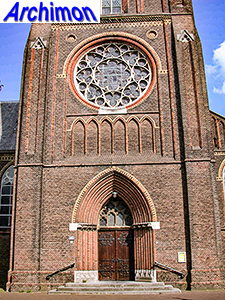 The apse is remarkably lower than the nave, and has a narrow ambulatory. 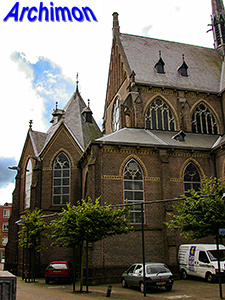 The choir was probably influenced by that of the cathedral of Trondheim, Norway, which in this period was being completed. 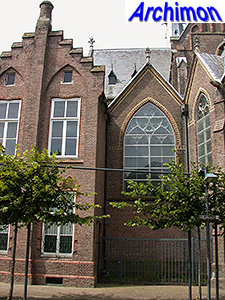 Part of the complex is the so-called west-presbytery that was built as an episcopal palace, but was never used as such as Groningen was chosen as the capital of a new diocese. 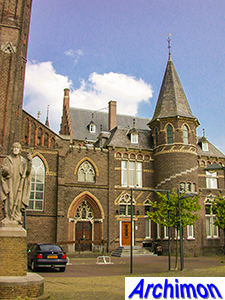 When the building proved to be to big for use as a presbytery, it was used as a hospital instead. 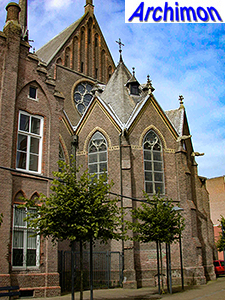 In 1887 a new, smaller presbytery was built on the east side of the church, the east-presbytery.